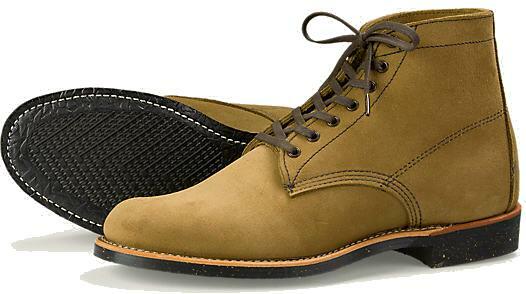 Red Wing have been making some of Americas most durable and stylish boots for over a century but unlike there well-tanned uppers the sole will need replacing from time to time. Red Wing’s footwear were designed to last for years, gaining comfort and patina. When breaking in a new pair of boots is normally a chore, this is the best part of Red Wing boots as they only improve the look and comfort. Unfortunately just as you get them molded to your feet and style of walking you find the miles have taken their toll on the sole. Maintaining the sole should be part of the care given to these fantastic boots and although we can rebuild any part of these boots it will always be more cost effective to get any work done sooner rather than later. The sole offers the boot most of its strength and an excessively worn sole can compromise the structure of the upper. Original Cobblers have been accredited by Red Wing USA in repairing their iconic footwear in the UK for 7 years now and are the only UK company with Genuine components. Because Red Wing boots have the good-year welt construction these sole units are interchangeable which is ideal if you have spent the time breaking in the boots but would now like to use the boots for a different purpose. As we hold all these units in stock the repair time is no longer than 4 weeks although we do offer a Fast Track 5 day service. If you do not see the unit required below we will not have it in stock but may be able to special order it. ​Prices do not include the £6.95 return courier fee.